The tour programs suggested below are samples of possible tours which Discover Ukraine can design for your group. We can change the timetable, the route, the sightseeing plan and the intensity of the tour program to adjust it specifically to the interests and requirements of your group. We can also add an educational complement to your tour program upon your request. 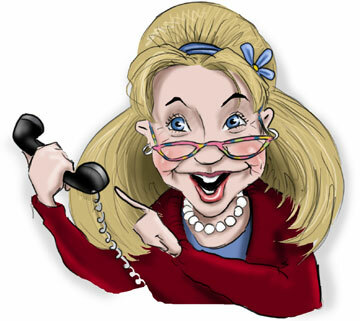 Contact our team to outline your desires, and we'll send you a preliminary tour itinerary for your revision. Visit cities Kharkiv, Poltava, Izyum, Svyatohorsk and Sumy. Spend 7 days touring about North East of Ukraine - the area of highly developed industry, plenty of natural resources and perfect conditions for farming, called Slobozhanschyna. This land used to be the motherland to Scyphians, then it gave shelter to a number of Slavic peoples who are more commonly called Russians. Since old times, these territories border with Russia, and are strongly influenced with Russian culture and mentality. Even today, when Ukraine is an independent state with Ukrainian being an official language of the state, local population of the East still speaks Russian. You will have a chance to explore a combination of the Soviet Union style of life with innovations of the independence years. Your tour will begin in one of the largest cities of the country - Kharkiv (Kharkov), which is also called the intellectual capital of Ukraine for its numerous universities and research institutions. Around Kharkov, there are smaller cities-sattelites like Izyum, which are definitely worth visiting. You will have a chance to explore picturesque nature of Slobozhanschyna, as well as historical sites and holyfied centers of Orthodox church - Slavyanohorsk monastery complex. Then, you will visit Poltava - an old middle sized city which remembers historical events connected with a great 18-th century Russian tzar Peter the Great. Your tour will finish in Sumy, a nothern oblast center which is famous for being an industrial and teade center of Ukrainian north. Since very old times, Sumy is conveniently located on the crossroads of trade routes between Russia and southern territories of Ukraine. Visit cities Kharkiv, Svyatohorsk, Donetsk, Mariupol. Spend 7 days touring about North East of Ukraine - the area of highly developed industry, plenty of natural resources and perfect conditions for farming. This land used to be the motherland to Scyphians, then it gave shelter to a number of Slavic peoples who are more commonly called Russians. Since old times, these territories border with Russia, and are strongly influenced with Russian culture and mentality. Even today, when Ukraine is an independent state with Ukrainian being an official language of the state, local population of the East still speaks Russian. You will have a chance to explore a combination of the Soviet Union style of life with innovations of the independence years. Your tour will begin in one of the largest cities of the country - Kharkiv (Kharkov), which is also called the intellectual capital of Ukraine for its numerous universities and research institutions. 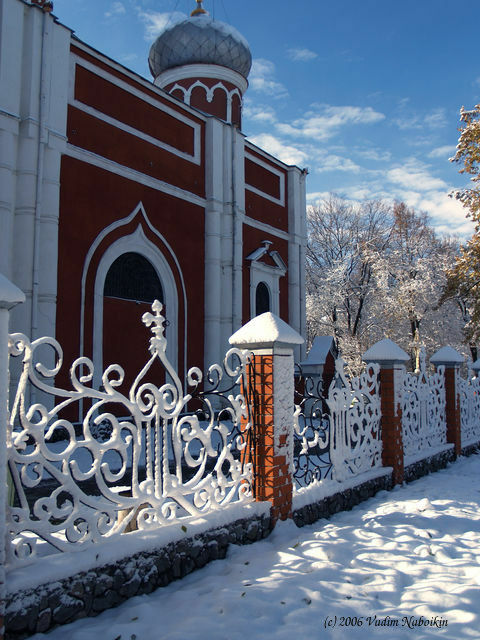 On your way to the South-East, you will have a chance to enjoy picturesque nature and holyfied centers of Orthodox faith - the Slavyanohorsk monastery complex. Then, you will proceed to another large city of Donetsk, which amazes with its fast recent growth and will offer a number of great entertainment centers and night life establishments, along with the most unusual but extremely interesting industrial tourism sightseeing. Mariupol, another industrial city to the east south, will attract you with its port and the resort area. It successfully combines two missions of being an industrial and a recreational center of this region. Take a 7 day tour to Kharkiv, Dnipropetrovsk and Zaporizhia. Kharkov, the second-largest Ukrainian city is a significant industrial and trading hub. It also the largest educational center of the country. With its mild, moderately dry climate, Kharkiv abounds in gardens, parks and tree-lined avenues. 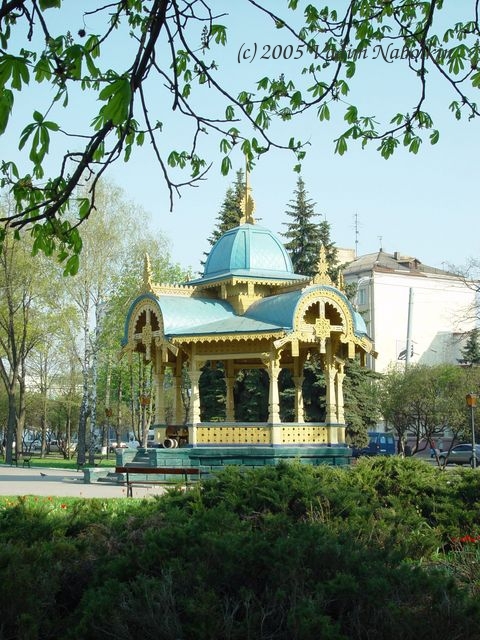 Visit a number of monuments, theaters and concert halls and enjoy walking about the wide green strteets of Kharkiv. Another fast developing industrial and business center is Dnipropetrovsk. Thouhg it is a Soviet-style city in every sense, you will also learn about its Scyphian history, and will walk around recreation areas at the Dnepro river. 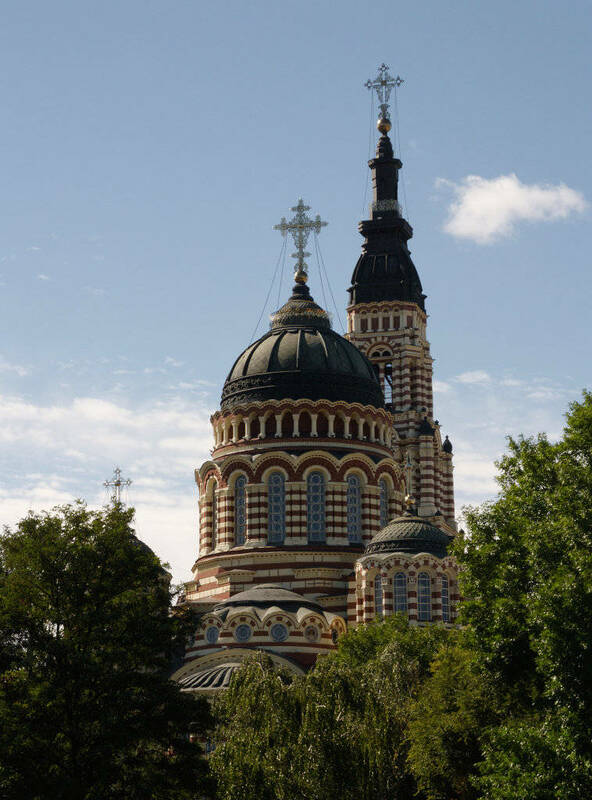 Zaporizhya will welcome you with its unbelievable mixture of styles. The surrounding province is densely spotted with archeological excavation sites of early and late paleolith, and over a hundred of the Bronze Age. The Scythian state, the Khazar Caganate (State), then Kyiv Prince Svyatoslav's state and Tartar-Mongols - all left their traces in history and culture of this land long before the Cossack community appeared in the down flow of Dnipro in the 15-th century. Follow the routes of historical events and relax while taking entertaining activities which are offered by all three large cities of the Ukrainian East.